This week, on Mightier Than the Sword, Steph and I talk about New Year’s resolutions…and why, this year, we’ve decided against them. We are taking a different approach to 2019- a fresh start, for sure, but without the pitfalls and self-recriminations that often come with setting (and all too often, breaking) resolutions. Tune in to hear our takes on the pros and cons of the annual resolution tradition. We have some original ideas on how to make the New Year more of an opportunity than a ... See More challenge. 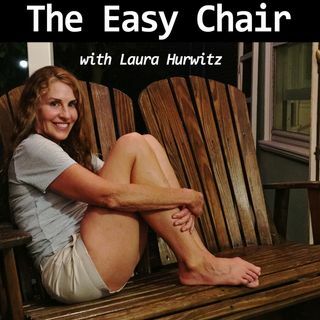 As always, any questions, comments, and insights- let me and Steph know at easychairpodcast@gmail.com. This week’s podcast is brought to you by Brooklinen, the folks who make getting into bed at night my favorite part of the day. I love the simple luxury of my Brooklinen sheets and comforter! You can get $20 off your first order and free shipping by going to Brooklinen.com, promo code CHAIR.